There is more to discover in Oxford than college football, despite the thousands of fans who partake in the game day rites of what amounts to the South’s all-but-established religion. For as much as this quaint city is defined by Ole Miss, as the University of Mississippi is informally called, it is increasingly known for arts and culture. With a year-round population of about 20,000 it punches well above its weight. Then again, the strong arts and culture scene shouldn’t come as a surprise. This was, after all, the home of acclaimed writer William Faulkner. 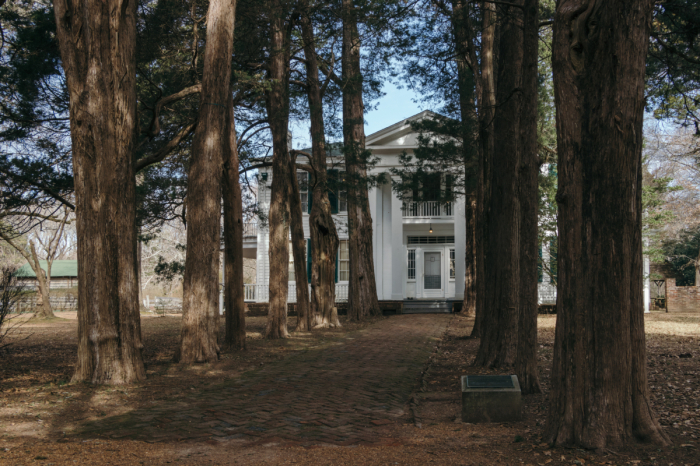 Fifty-six years after his death the tourists are still coming to discover both Oxford and surrounding Lafayette County, the setting for Faulkner’s fictional Yoknapatawpha County. Today it’s also a culinary destination, driven partly by the students who more than double Oxford’s population during the Ole Miss academic year but also by the fact that Lafayette County, outside the city limits proper, is dry — as in the sale of alcohol is illegal. Needless to say, Thursday, Friday and Saturday evenings are super busy. Oxford, if it even existed, would be very different had Faulkner never lived here and the campus of Mississippi’s flagship university was located elsewhere in the Magnolia State. In fact, the influx of students probably saved downtown after mom and pop shops closed following the development of big box stores on Oxford’s outskirts. 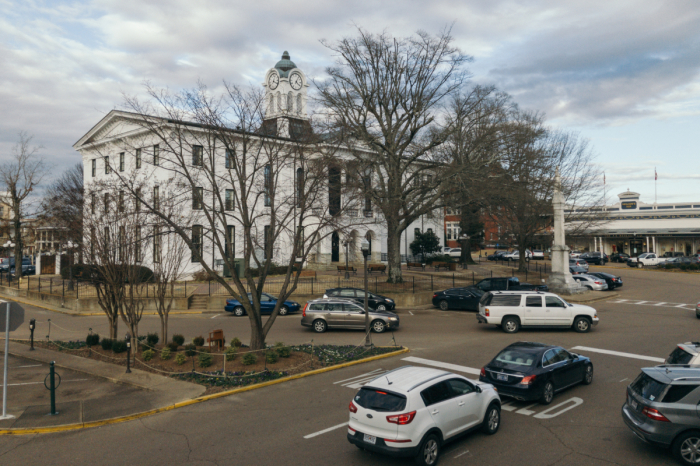 The cityscape is best viewed at the iconic Square, which is centered on a postbellum county courthouse. Not long ago the courthouse faced grocers, hardwares and other shops. Today, most of the old storefronts house eateries or drinkeries frequented by a mix of students, professors, college administrators and even retirees attracted to Mississippi’s low taxes. Downtown is particularly charming, thanks to the endless number of buildings with ironwork balconies reminiscent of what you see in New Orleans. At the Square you find Neilson’s Department Store, purportedly the oldest department store in the Old Confederacy. Think Macy’s or Lord & Taylor, but family-owned. Nearby is Off Square Books, where “Thacker Mountain Radio Hour” broadcasts live weekly on public radio. Watching an episode record is quite the spectacle beyond the literary readings and live music acts. There are also two notable antebellum churches connected to Faulkner: St. Peter’s Episcopal Church, a handsome Gothic Revival brick edifice near the Square, and College Hill Presbyterian, a Greek Revival-style kirk about 10 minutes by car from town. The minister of College Hill married Faulkner, an Episcopalian, and his wife, a divorcée. Of course, no visit to Oxford is complete without a stop at his house, Rowan Oak. Oxford’s thriving art community is most visible at Treehouse Gallery. Local and regional artists across multiple mediums are showcased as well as the owner’s husband, a talented blacksmith. There are also two notable museums, the impressive University of Mississippi Museum, known for its collection of Greek and Roman antiquities, and the Burns-Belfry Museum, which tells the critically important story of local African-Americans from slavery through the Civil Rights Movement. McEwen’s is perfect for dinner after sitting in the audience of “Thacker Mountain Radio Hour.” Also highly recommended are Snackbar, which has the feel of a French brasserie and the flavors of Mississippi, and Saint Leo, known for its Italian-inspired fayre. For lunch, try City Grocery or Oxford Canteen. Yes, the Courtyard by Marriott is a chain hotel, but the location — within walking distance of just about everything — is excellent. The hotel includes a rooftop bar and tapas restaurant, the Green Roof Lounge. The closest major airport is Memphis International Airport, located about an hour away by car. Delta Airlines has nonstop flights to Memphis from Atlanta, Detroit, Los Angeles, Minneapolis–St. Paul and New York City. All of the major car rental agencies have branches at the airport.